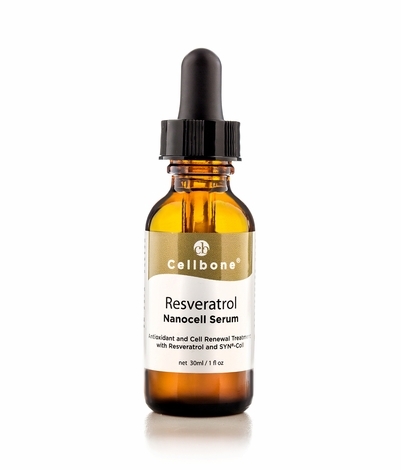 Resveratrol nanocell serum helps produce collagen in the skin and prevent lines and sagging. 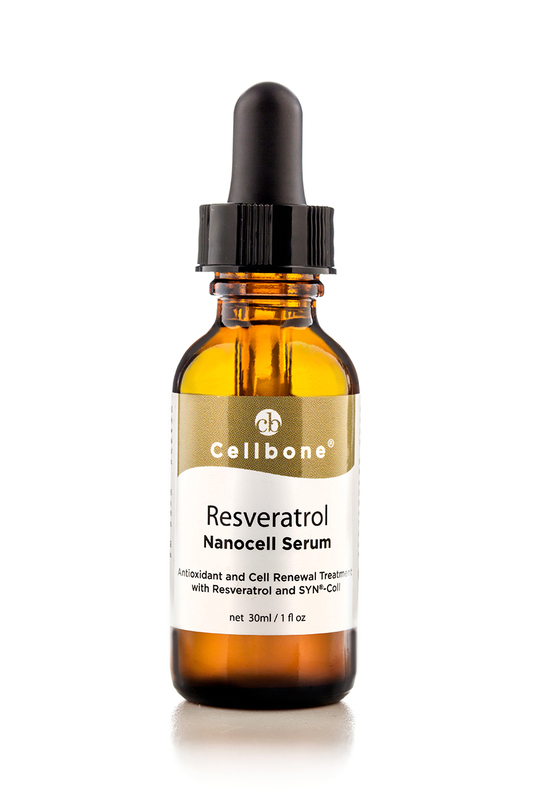 2009 BSB Innovation Prize for Metabiotics® Resveratrol, its antiaging ingredients designed to reduce inflammation and enhance collage. The award, which was for an innovative raw material concept, was given in conjunction with the in-cosmetics 2009 in Munich, Germany. In vivo, an anti-aging study has confirmed a reduction in fine lines and wrinkles following a 28-day application, as well as firming and lifting of the skin to reduce notable sagging that was present prior to treatment. Also significant improvement in overall skin tone and diminishing of age spot was observed. SYN® -COLL (Palmitoyl Tripeptide-5) and Nanosome Palmitoyl Pentapeptide-3 actively compensates for any collagen deficit in the skin and makes skin look younger. Human growth factor (INCI: Human Oligopeptide-3) mimicking peptide derived from yeast, which is the key modulators of skin cell metabolism, decrease with aging process.